This is a paper pattern deliver to you through the post office. If you would like a digital download, click on pattern at the top of the website. I made this quilt from left over pieces I had after I made the Woodland Daybreak quilt (#442). I love being able to use those leftovers! This quilt would be great for a beginner. 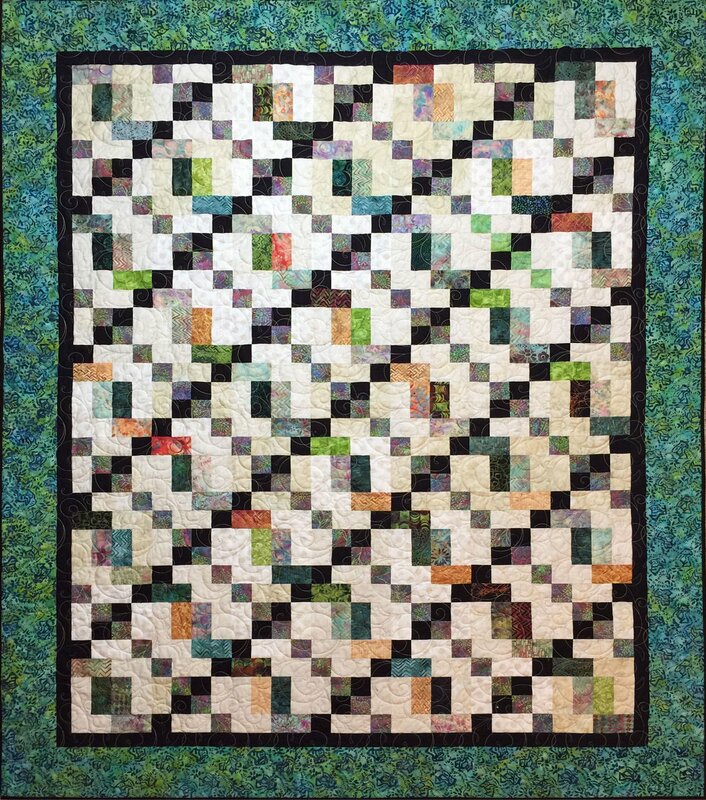 The contrasting chain running through the quilt helps to bring out the colors of the scraps. Then add a bright border and your quilt will shine!